Light tropical aromas of banana, honeysuckle, lime blossom and white peach combine with comforting notes of warm, fruit-filled muffins. A great summer sipper with a full body, bright citrus acidity and prominent flavors of lime, grapefruit and orange zest. On the nose, peach, freshly sliced pear and pineapple mingle with green high notes of grass and lime. Flavors of zesty, fresh pine, peachy goodness and a compelling floral spice add to its overall complexity and balance. 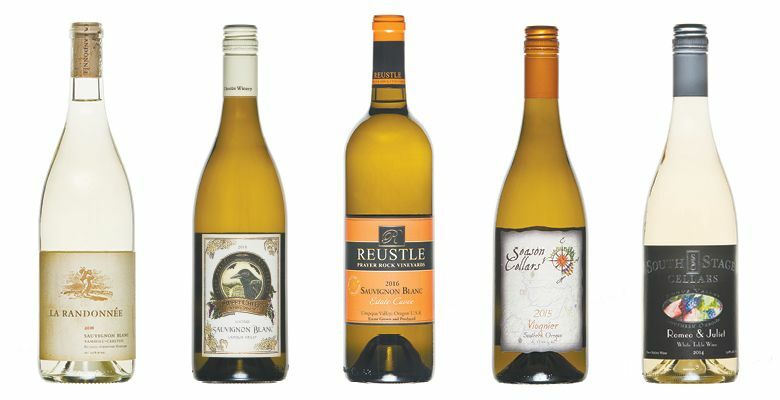 This one is for those who love a tart Sauvignon Blanc. The nose is a pretty mix of orange, pineapple, lime, green apple, banana and flowers. These aromas repeat on the palate and present a puckery green tang and a burst of acidity mid-palate. White peach, orange blossom, lime, marzipan, tangerine, green melon, soothingly viscous. Then … what was that? A surprising slight peppery (acidic) bite at the end. Makes you want to bite it back ... well, after another sip. All the aromas of an apple pie but served deconstructed as in a fancy restaurant. A baked apple slice sits askew of a dollop of crème fraîche with a drizzle of vanilla. The cinnamon stick is placed to the side for you to wave over your plate. Seriously, this wine smells homey and delicious. Balanced to a point where you don’t even consider the structure, the wine’s flavors of fresh tangerine and a bitter yet spicy orange zest finish add to the overall delight.